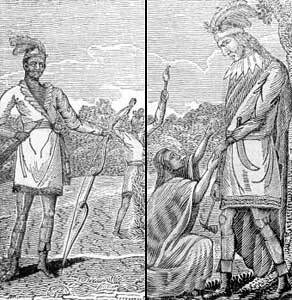 Detail from an 1836 engraving depicting events from the slave uprising during the Second Seminole War. Originally prepared for D.F. Blanchard's 1836 narrative of the war. Library of Congress, Rare Book and Special Collections Division, LC-USZ62-366. Abraham, from Orr's engraving published in 1848 in The Origin, Progress, and Conclusion of the Florida War by John T. Sprague. 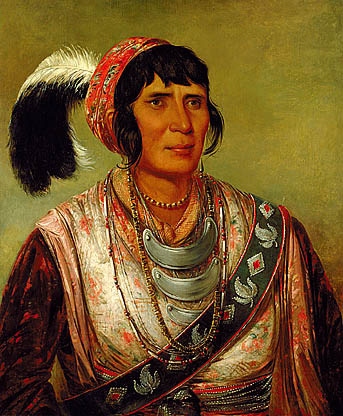 Osceola, oil painting by Catlin, 1838. Courtesy Smithsonian American Art Museum. "Thlocklo Tustenuggee, or Tiger Tail." 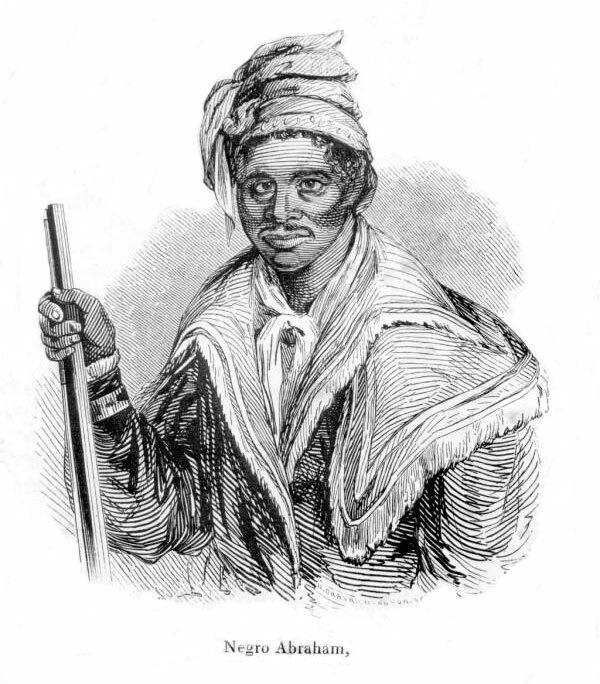 A leader since 1823 and a prominent militant among the Seminoles, Tiger Tail was well known to the whites of the territory before the war, having been a frequent visitor to Tallahassee and a regular guest at the house of banker Robert Gamble. This image, which comes from N. Orr's engraving in Sprague's 1848 history of the war, was probably based on a sketch drawn from life, like other works in Sprague's book. 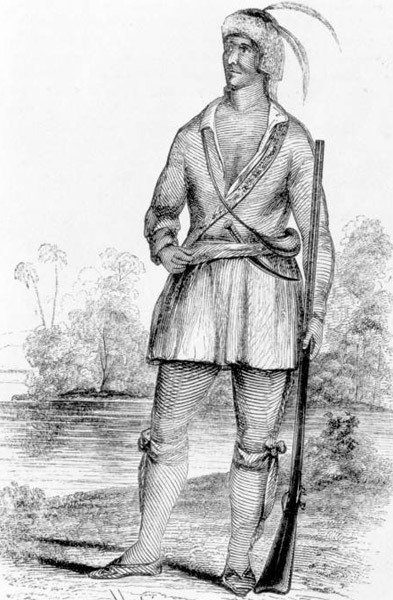 John Horse, as he appeared around 1840, in the engraving by N. Orr for Lieutenant John T. Sprague's 1848 history of the Florida war. The original source of the image remains unknown. Conceivably, it could have been a sketch by Sprague or another officer. Sprague would have been the final authority for the likeness, having worked with John Horse during his time as an interpreter. 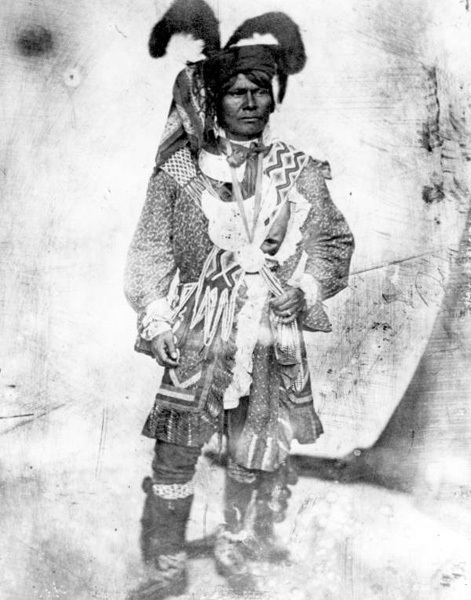 Micanopy (Mick-ah-no-pee), the hereditary Seminole chief. 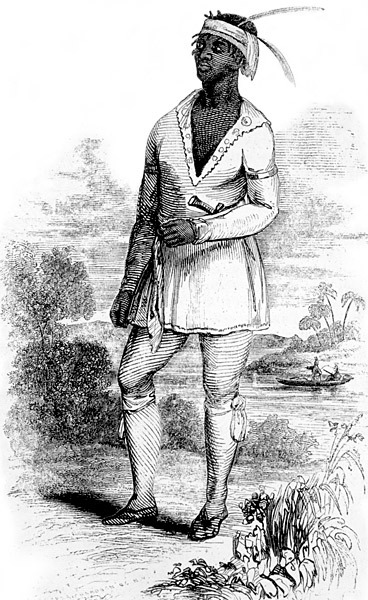 He showed great favor toward the maroons and was said to reside most of the year in the black town of Peliklakaha, near present-day Bushnell, Florida. 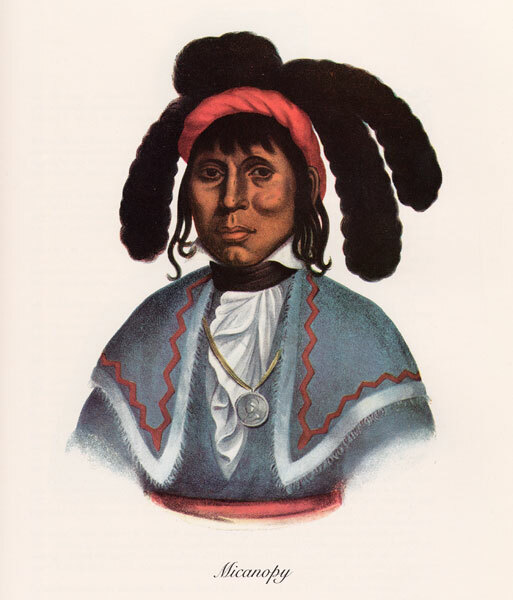 Hand-colored lithograph from the McKenney-Hall History of the Indian tribes of North America (1858), after an 1825 painting from life by Charles Bird King. 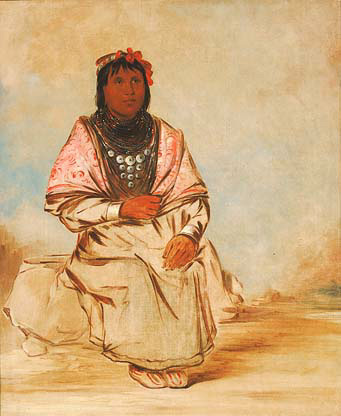 "A Seminole Woman," 1838 oil painting by George Catlin. Smithsonian American Art Museum. Coacoochee, or Wildcat. Engraving by N. Orr for Joshua Giddings' Exiles of Florida, based on Orr's own 1848 engraving. 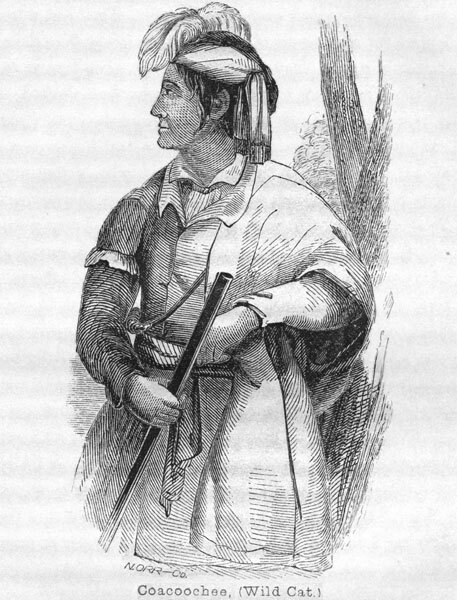 Holata Mico, or Billy Bowlegs, as photographed in 1852. Florida Photographic Collection.